Opened in 2003, Mill City Museum overlooks the Mississippi River in the heart Minneapolis, Minnesota’s historic Mill District. Built within the ruins of the Washburn A Mill, the museum tells the fascinating story of Minneapolis’ birth along the famous river’s only waterfall, and how this young city founded in 1856 soon came the “Flour Milling Capital of the World”. 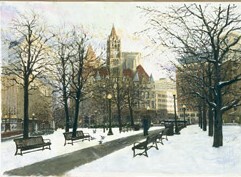 Flour contributed greatly to the growth of Minnesota’s largest city and the north central region of the United States. 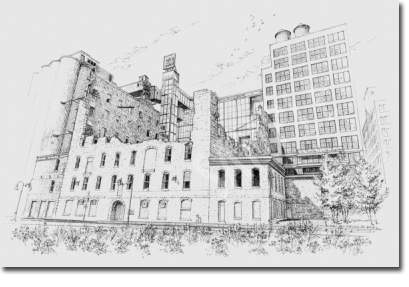 More than a century later, corporations, advertising icons, and products which originated in the Minneapolis mill district continue to influence our world today.